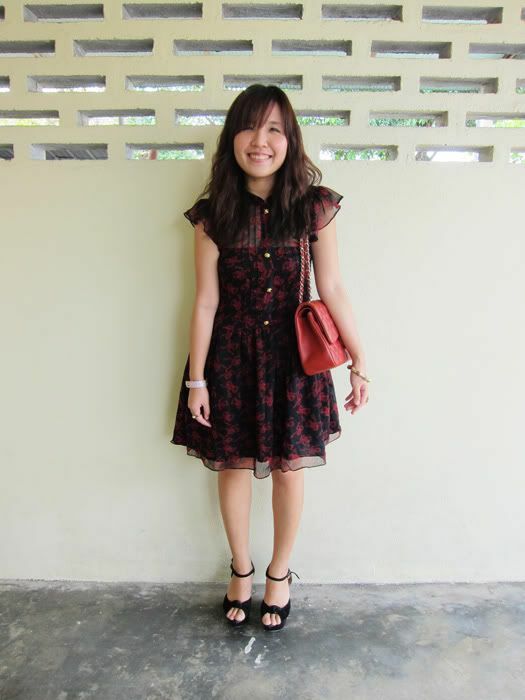 Revel in me...: Outfit for first day of CNY. 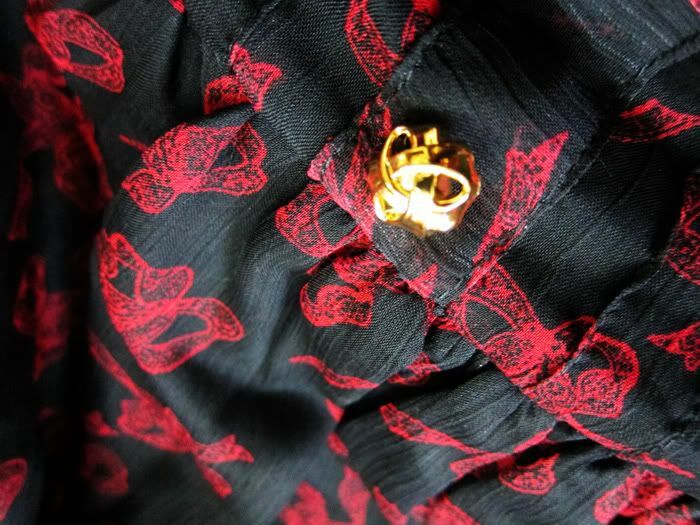 Gold buttons down the front of the dress. 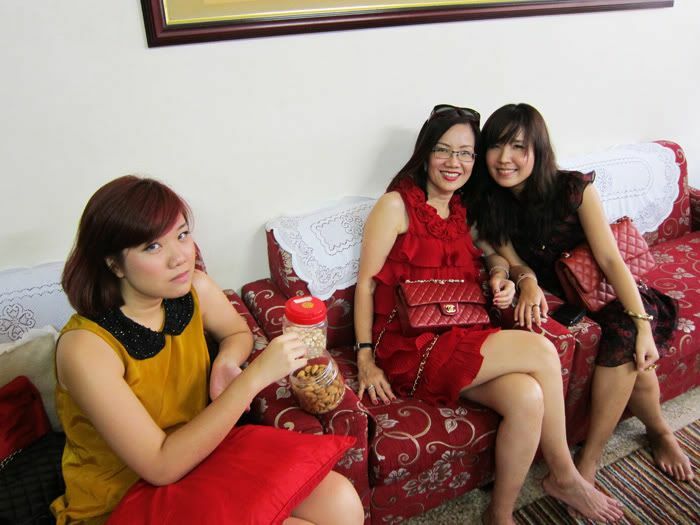 I insist on wearing something red for the first day 'cause there was one year I wore mustard yellow, thinking that anything bright should do for CNY, and it was a really bad year for me. Really bad one. 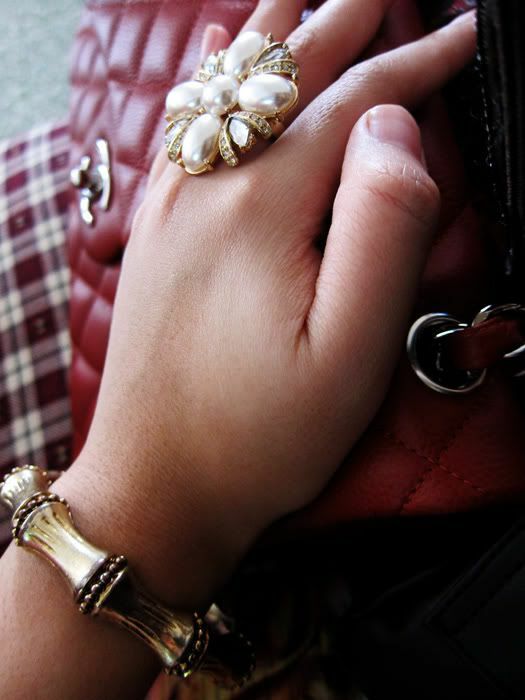 So being impossibly superstitious, it's red and only red for me on the first day from then onwards. 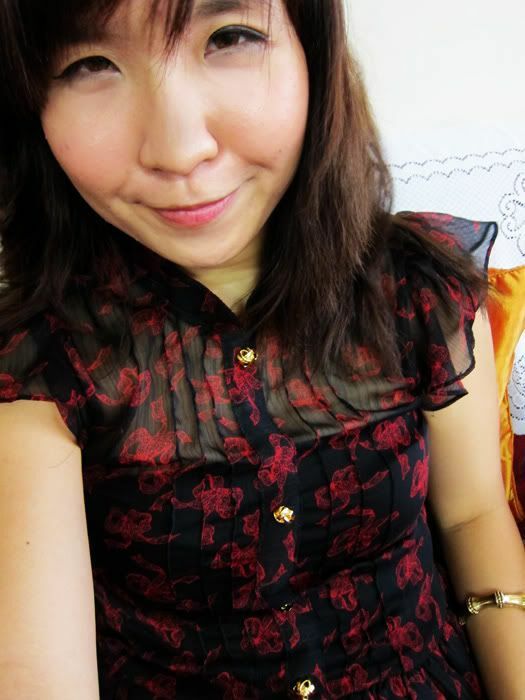 I kind of had CNY in mind when I bought this dress a few months back in Bangkok. I had my reservations though, 'cause it's black. My family isn't superstitious, heck, not even my extended family is superstitious; but I haven't work black for CNY before and that makes me nervous. That's my inner Chinese speaking btw. 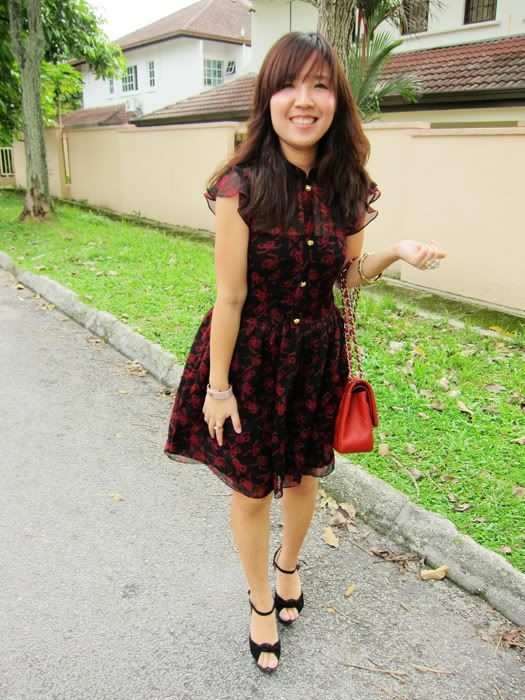 Anyway, in the end I decided the mandarin collar, the red bow print and the gold buttons make it too, too apt for CNY (that, and I really don't have anything else red), so here it is. I'm personally not superstitions, but I was once told to change when I work a black item on the first day, and ever since then it's ingrained in me to just follow along with the tradition! Though I didn't put any thought into it last Thursday :( I don't even remember what I wore...Super no feel here in Melbourne. You're soooo lucky to be home! It's my second year missing out, I told myself I MUST be home next year. 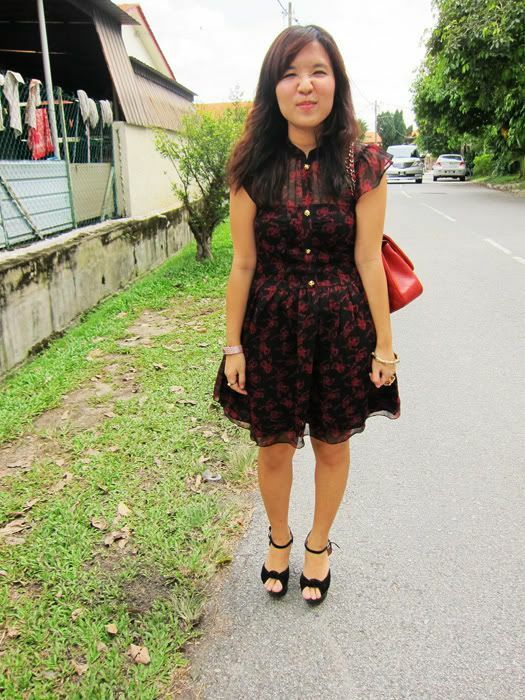 i love ur dress,shoes, aceesories, bag n everythign soso much!!!!!! 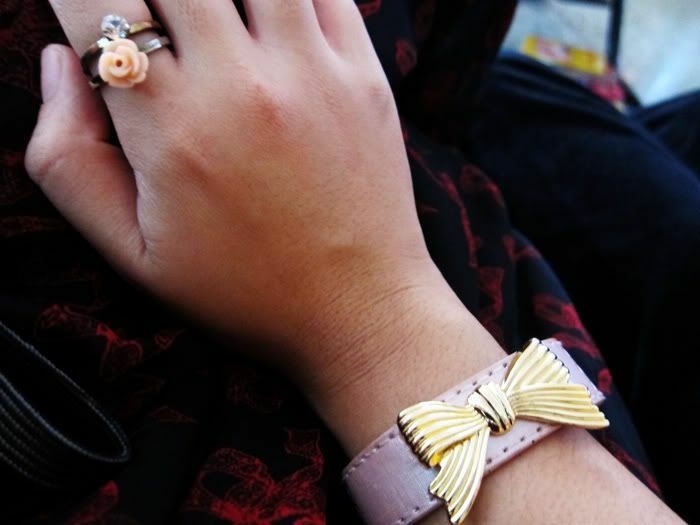 really admire u till max! 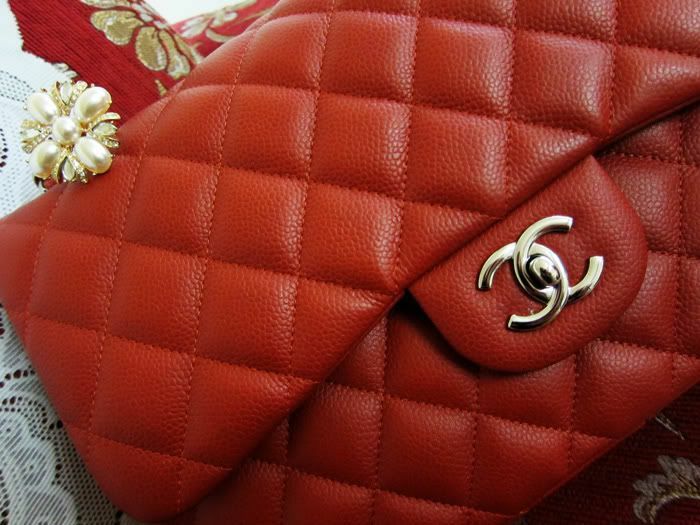 I thought you were sharing the red chanel bag with your mum, but i see two there ! joshua: Did you at least wear something new on thursday? :P I am sure you won't have any trouble finding that,ehehe. And ya, you have to come home! And make sure jing stays for cny too!! anonymous: Have to find some sort of 'ong', hehe. If it's any merit, I wore red underwear too, haha! smalls: ARE YOU GETTING AN IPHONE!!! Traitorrrr! !